Biz Carson/Business InsiderThe change happened in 1992. Malcolm Gladwell explored why McDonald’s fries don’t taste the same as when he was a kid. 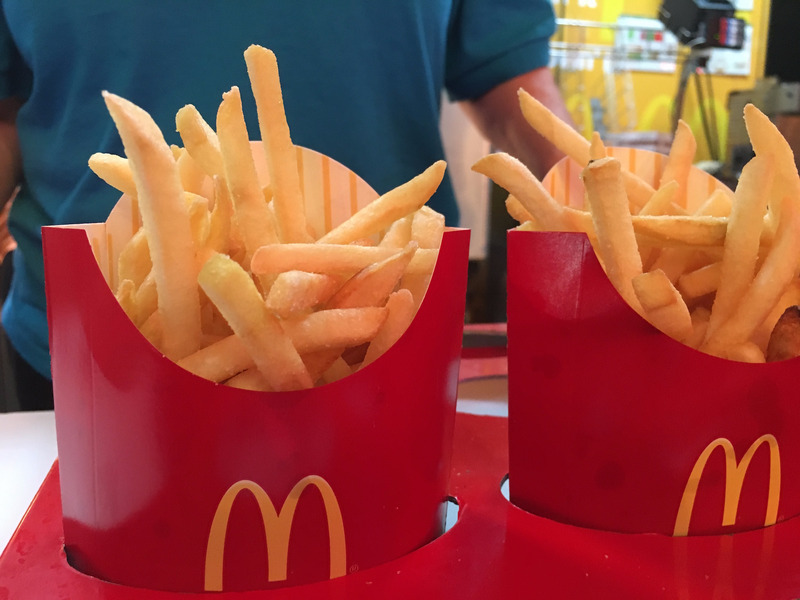 McDonald’s changed the way it cooked its fries in 1992. It swapped beer tallow for vegetable oil when frying french fries. Famed author and journalist Malcolm Gladwell remembers the first time he discovered McDonald’s fries. Unfortunately for Gladwell, this love story doesn’t have a happy ending. Gladwell asserts that McDonald’s broke his heart and betrayed him by changing the way its fries taste, and he embarked on a mission to find out what happened. Around that time, Gladwell said there was hysteria around saturated fat and McDonald’s thought its business model would be doomed unless it was able to some how make its products seem healthier. But on this note, Gladwell said it was also wrong. And he hopes McDonald’s admits its wrongs and changes the frying recipe back to the original. “If they had any balls at all, they would turn around and say, ‘We were wrong, and we’re going back to fries the old way,'” he said.